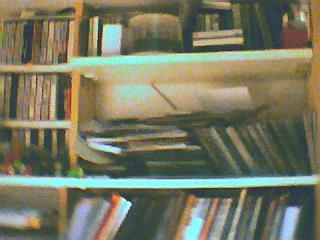 Yesterday (Sinterklaas) I got a music CD and a mini digital camera. The camera is the size of a box of matches, and it came with a CD with installation software. I have just spend an hour trying to make it work, but I am afraid that I have to wait till my son comes home from school. 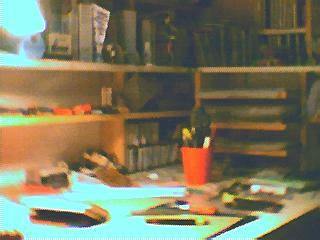 By coincidence I discovered that the camera can also be used as a webcam, and I can even make pictures with this webcam function. I asked for this mini digital camera because I love cheap goodies. This thing cost the incredible amount of 5 euro’s. It has no functions and (if it works) it can make 20 pictures. Exactly what I wanted. 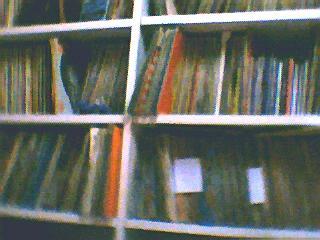 I want to make photo’s of whatever I see when I am on my way, so that I can show them on this blog. So prepare yourself! 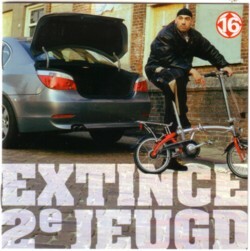 The music CD that Sinterklaas gave me is the comeback CD of the Dutch rapper Extince. He was among the first who rapped in Dutch. But because he claimed to be the very first, he made himself unpopular, most of all among the fans of the real first Nederrapper, Def P. When Extince had a hit with Spraakwater , Def P released a track called Braakwater . As usual the media made things seem worse than they are, and turned them in a self-fulfilling prophecy. Not so long ago I saw a video in which Extince and Def P were on stage, rapping together, and it was exciting. What the mainstream media do in the Dutch rap scene is of little importance, but they do it with almost everything. Imagine how the world would be if the media used all their powers to make this world. As you know, I think that Def P is the best rapper we have in Holland, but there are many others that I love to hear too, and Extince is among them. I am not sure, but I think that there were ten years between his first CD and this second one. In between little was heard of Extince; he doesn’t do much shows. 2e Jeugd was released a year ago and I heard about it because he has a track on the CD ( Doorgaan ) on which he offends Brainpower. Brainpower is an other successful Dutch rapper, who used to be a friends with Extince in the early days. Before Brainpower recorded an answer-rap, which he put up on his website a few days after 2e Jeugd . I never listened much to Brainpower, but this long rave made me a fan of him. 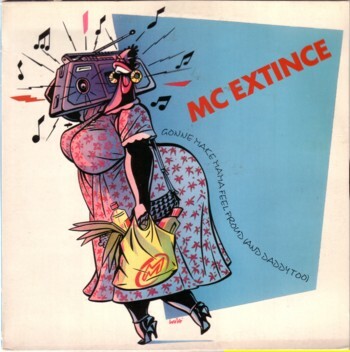 Before Extince started rapping in Dutch he did it in English and was one of the very few who got a record out in 1991. This 12 inch single is a rare item now. I would never have kept it if the cover wasn’t made by Willem Vleeschouwer. The A-side is a rap about his mother; it is very funny, but the problem with funny lyrics is that I usually don’t want to hear it more than once. And because probably the same goes for you, here is the B-side, Be like me .